Torrential rain hit the area this afternoon around the same time I was driving home. Which was the time I had pegged to stop somewhere to on the way home to grab an image. My way home today was through Boxford. Boxford has ponds. Ponds have trees. 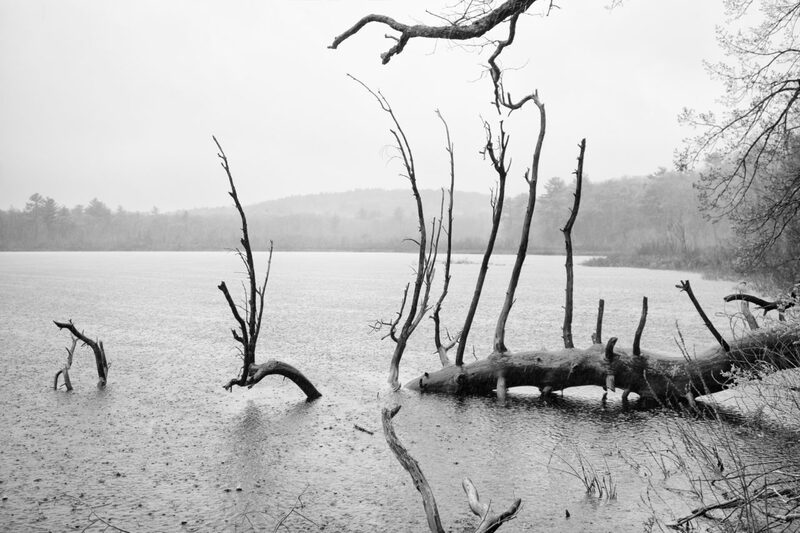 Here is a shot of a tree in a pond in Boxford in the rain.